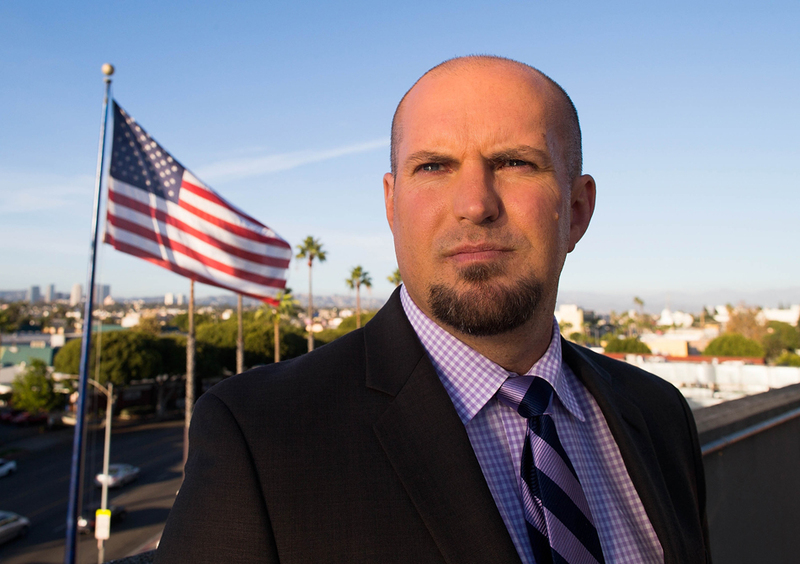 Adam Rank is an analyst for NFL Network and also a Standup Comic. He was kind enough to let us interview him! 360: Were you always interested in, above all, football and comedy? How have you managed to combine these two very different career paths? AR: Absolutely. I wanted to be a football player from a very young age. We’d play football during recess and lunch in elementary school. My friend Mike V. brought the ball every day and he got first pick. So he took Mike C. and Alex C. with the first two picks. (Both had DeSean Jackson-like wheels.) And I would always be picked in the next group by whoever inevitably wanted to be captain. Nobody wanted to, because they wanted to be on Mike V’s team. But since I was always picked by the next captain, I decided to be the opposing captain so I could be QB. Mike V’s team always got the ball first. And we won just one game. But I figured that would lead me to the NFL. But not so much. 360: What has been the most exciting moment of your football analysis career? AR: I was talking smack to Rod Woodson one day, arguing with him about something. I think it might have been about the Dallas Cowboys. And then it hit me, I’m talking (expletive) to a Hall of Famer. And this is my job. I mean, I’ve had other highs like meeting Jack Youngblood, having Deacon Jones give me a head slap, or even Jay Novacek asking me for a beanie. But it’s the day-to-day stuff that’s the most thrilling. 360: How is the environment at NFL Network? It looks like it’s a lot of fun and a great place to work! AR: There are some parts of the job that make it a job, no doubt. But at the end of the day, I’m just talking about football for a living. I remember being at the draft this year, talking to some fans. One of the guys asked me, how would you rate your job on a scale from 1 to 10. I said an 11. I mean, here I was kicking back, watching the draft. The pull me on to a set to interview Steve Weatherford and then back to watching the draft. And that’s my job! I mean, I can’t tell you how incredibly blessed I am to be doing this. I would never take it for granted for a minute. AR: Oh man, Akbar is hilarious. And Matt “Money” Smith is the best. But everybody is great. 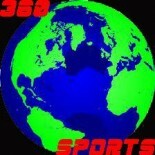 360: What is your boldest prediction for the upcoming season? AR: The Jacksonville Jaguars will make it to the playoffs. I mean, there’s always one team that surprises everybody. Why not the Jags? I love what they’re doing down there. 360: Who is your sleeper team for this season? Your bust team? AR: Did you not just read me picking the Jags? Is that not enough of a sleeper team? I tell you, you’re very persistent. I like that. If I had to pick another one, though, I’m going to go with the Bucs. They had a lot of talent last year and I’m a big believer in Lovie Smith. And watch, Josh McCown is going to do great things with offensive coordinator Jeff Tedford. I know he’s been a punchline because his quarterbacks haven’t turned out so well in the NFL. Well, that’s not completely true because he coached Aaron Rodgers. So look for Tampa Bay. On the flip side, the Chiefs won’t make the playoffs this year. Neither will the Panthers. 360: What’s your greatest piece of advice for someone who wants to be a sports analyst like yourself? AR: I’m not sure somebody sat me down and gave me some great words of wisdom. Nothing like Jack Palance in City Slickers or anything like that. Damn, that’s an old reference. Ask your parents about City Slickers. Great movie. But when I was working at the Orange County Register years ago, the face of the sports section, Steve Fryer was the coolest dude. He could have been a jerk and condescending, or above mingling with the help. But he was the coolest dude. And I just watched the way he acted, how he treated people. From the coaches, the workers, the people who took our orders at lunch. And when I saw how professional he was, I was all, I want to be like that dude. I’m not sure I’ve achieved that, yet. But it’s something that I strive for. This entry was posted on July 3, 2014 by smarkowitz1 in Analysis, Interviews, NFL and tagged Adam Rank, carolina panthers, Interview, jacksonville jaguars, Kansas City Chiefs, nfl network, stand up comedy, tampa bay bucs.